The Zubarev nonequilibrium statistical operator is used to describe the generalized hydrodynamic state of a magnetic fluid in an external magnetic field. 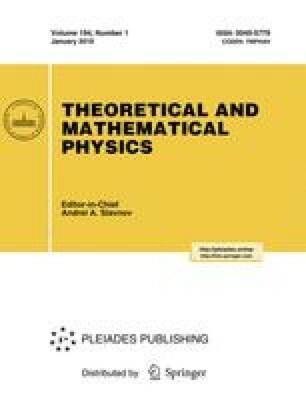 The magnetic fluid is modeled with “liquid-state” and “magnetic” subsystems described using the classical and quantum statistics methods respectively. Equations of the generalized statistical hydrodynamics for a magnetic fluid in a nonhomogeneous external magnetic field with the Heisenberg spin interaction are derived for “liquid-state” and “magnetic” subsystems characterized by different nonequilibrium temperatures. These equations can be used to describe both the weakly and strongly nonequilibrium states. Some limiting cases are analyzed in which the variables of one of the subsystems can be formally neglected. Translated from Teoreticheskaya i Matematicheskaya Fizika. Vol. 115, No. 1, pp. 132–153, April, 1998.